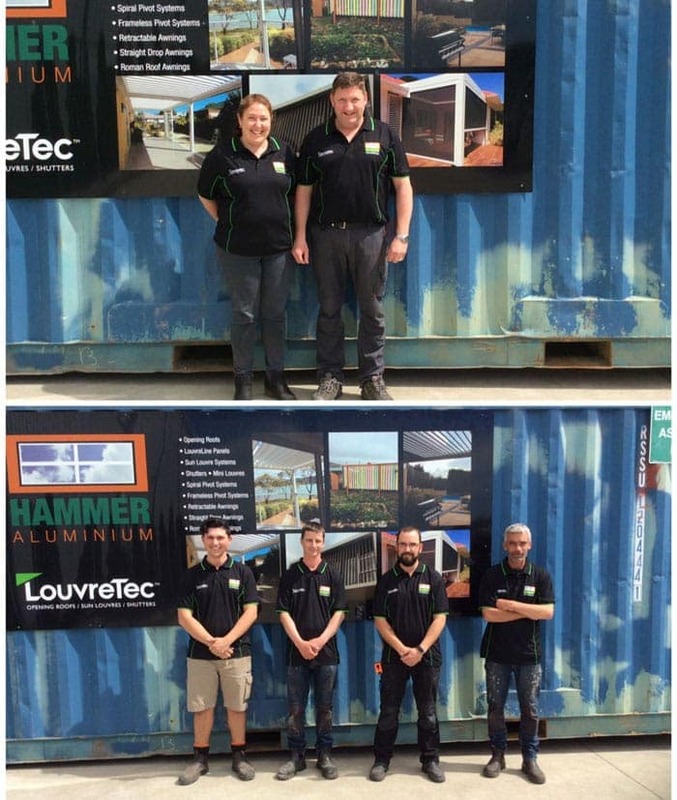 Hammer Aluminium is a Tasmanian business supplying glass and aluminium products to southern Tasmanians since 1987. As locals, we know the right products for our climate and have been working on perfecting our product range for over 30 years. Our reputation as a trusted professional team and highly regarded name in the industry cannot be beaten. We measure, manufacture and install our products. All installations are done by our expert, trade qualified installers. Because we don’t use subcontractors, this ensures we maintain the highest level of control over the process thus giving the best result possible. It also gives our clients the peace of mind that if there is an issue during installation or years down the track, we can quickly fix any issue that may arise without hesitation. If you are looking for a custom-made product Hammer Aluminium would be happy to hear from you. Awning, Casement, Sliding, Tilt and Turn. Sliding, Stacker, Single Hinged, French and Bifold Doors. Custom made to suit your requirements, whether it be keeping the weather at bay from your front and back doors, to enhance the appearance of your home, for securing an often concealed area and allowing greater distance between you and unwanted guests – Hammer Aluminium will have the right option for you. Our outdoor living areas have steadily grown in popularity over the years. A stylish sunroom or roof cover provides your home with an all year round versatility no matter what weather conditions or season may deliver. This area can offer a great extension to your living areas whether it is entertaining family and friends or a place to relax. LouvreTec has become the market leader in NZ and Australia in aluminium Opening Roof Systems, Sun Louvres and Shutter systems. Outdoor Awnings, Roman Roof, Folding Arm Awnings, Auto Lock and Pivot Arm Awnings.